Hey Snappers, Here Comes Bigfoot! 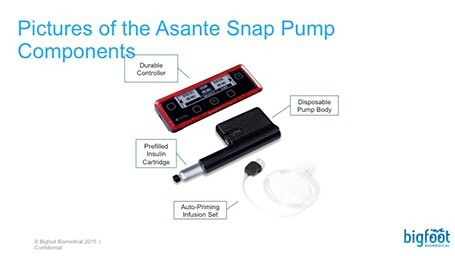 You may not be able to continue to use the Asante Snap pump … but it’s NOT GONE! Its amazing reincarnation occurred when Bigfoot Biomedical bought all the intellectual and physical assents of Asante Solutions … and it plans to quickly bring to market an artificial pancreas, sometime in 2016! Read the story by Insulin Nation! 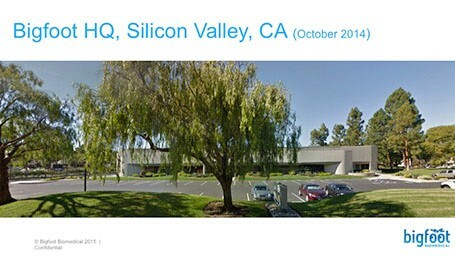 It was hard to believe until I saw the Snap components and the former Asante Solutions HQ, now the home of Bigfoot Biomedical!